WhatsApp rolled out Payments option back in February, though it is currently under testing with limited functionality, the company is slowly refining the feature. Now the company has brought the ability to make payments using the QR Code. 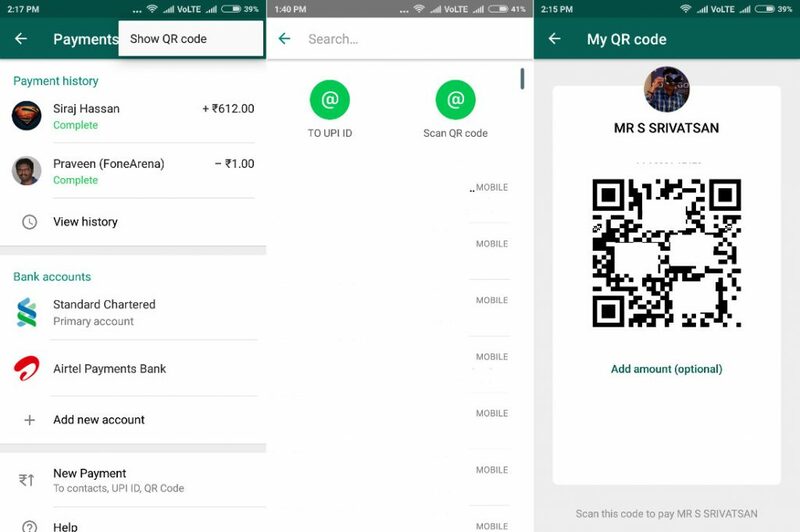 With QR Code, users can make payments by scanning QR Codes. However, the feature is currently only available to Android with the beta version V2.18.93 and the update is already rolling out through Google Play Store. To access the QR Code feature, users need to follow the similar process, tap on the three dots on the right top. After that, you need to tap the Payments option and which then will present you with two options; UPI ID and Scan QR Code. Post which you will be taken you the QR code scanning screen where you will have to scan the code, enter the amount followed by the UPI PIN verification. You can also view your own QR code from the payments section from the three-dot menu and clicking Show QR code. 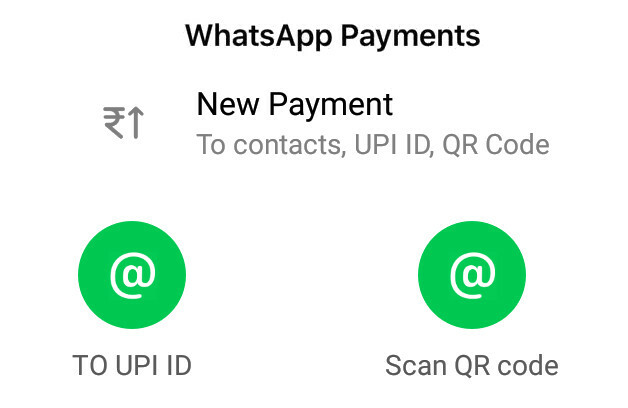 With QR Code support, WhatsApp officially supporting the UPI guidelines. Since the update is already out for beta users, you can simply update the app directly from the Play Store.